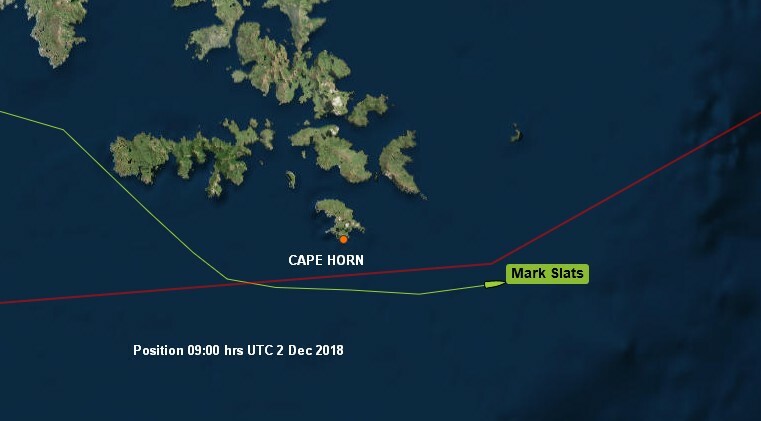 Dutchman Mark Slats sent a satellite message that – It is pretty windy but I’m very much in control – as he rounded Cape Horn early Sunday morning. Slats, in second place in the Golden Globe Race, also messaged that – I also see Mountains with snow big Ones. Slats, sailing Maverick a Rustler 36, rounded Cape Horn some 1,067 nm behind the race leader, Frenchman, Jean-Luc Van Den Heede who rounded last Friday 23 November. In third place is Uku Randmaa of Estonia, who is some 2,250 nm behind Mark Slats, and 657 nm ahead of fourth placed Susie Goodall of Britain.